Light blue colored masking liquid for precise clean application on multiple surfaces. * Ready-to-use water-base fluid for use with acrylic water-based ink and alcohol-based ink. * Easy to peel off within 48 hours of application. 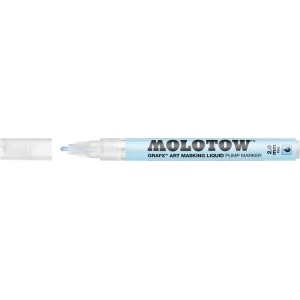 * The marker is refillable and the tip is exchangeable! 2mm fine tip.